In modern times, money and finance have become a part of every adult's life. Whether you are moving to a new country, learning Spanish for work or simply for fun, chances are you will find yourself discussing these topics at some point. Let's go over some of the things you must know to handle some common accounting situations in Spanish. A good place to start is with some of the most important terms you might need when talking about finances or accounting. ¿Los extranjeros deben pagar IVA? No, pero deben presentar un estado financiero. ¿Debe ser un estado trimestral? No, puede presentarse al final del año fiscal. Debe incluir sus ganancias, sus activos y sus pasivos, además de su flujo de caja. Dates in Spanish usually follow a day-month-year format. Decimals can be separated by either points or commas. Countries like Mexico, which are closer to the US, tend to prefer a point, while other countries like Spain or Argentina tend to go for the comma. Thousands are often separated by points or even blank spaces. Remember this to avoid confusion when you go over financial information in Spanish. With that in mind and the above vocabulary, you should be ready to discuss financial information in Spanish without problems! "Accounting and Money Terms in Spanish." YourDictionary, n.d. Web. 19 April 2019. 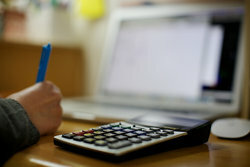 <https://spanish.yourdictionary.com/Spanish-language/learning-spanish/accounting-terms-in-spanish.html>. In modern times, money and finance have become a part of every adult's life. Whether you are moving to a new country, learning Spanish for work or simply for fun, chances are you will find yourself discussing these topics at some point.Let's go over some of the things you must know to handle some common accounting situations in Spanish.